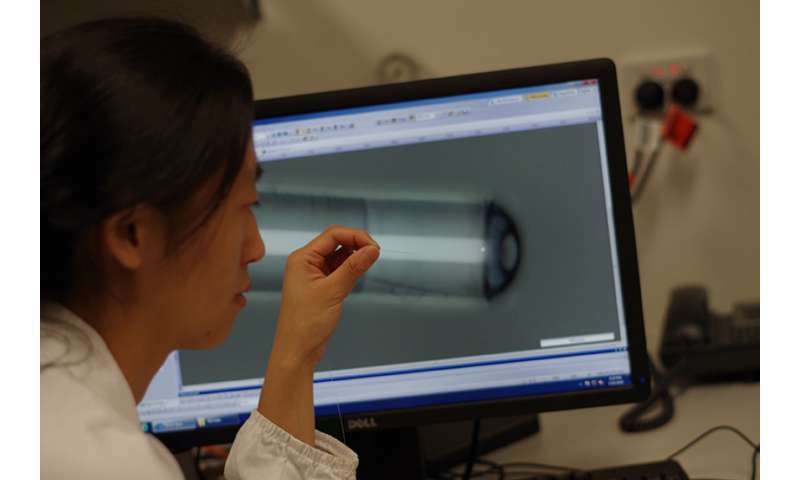 "With an outer diameter of only 130 microns, the probe is as thin as a single strand of human hair," says Dr. Jiawen Li, a researcher with the Adelaide Medical School, ARC Centre of Excellence for Nanoscale Biophotonics (CNBP) and the Institute for Photonics and Advanced Sensing (IPAS) at the University of Adelaide. "Using some drugs such as ecstasy can make certain brain regions overheat and then become damaged," Dr. Li says. While the first generation of the probe can both take images and measure temperature, Dr. Li hopes future generations will take other measurements as well – such as pH values, oxygen saturation and accumulation of fat in arteries. Dr. Li's research has been published in the journal Optics Letters.